So, you may be wondering why we have chosen to give away one pair of Bose QuietComfort® 35 Noise Cancelling Wireless headphones – what’s so special about them? Well you are in for a treat because we are going let you in on exactly that. They are quite revolutionary as headphones go and one lucky winner will soon get to experience this revelation for themselves! The outside world can get noisy to say the least so if you’re looking for a pair of wireless headphones that will block everything in the background to allow you to appreciate your favourite songs (or the peace and quiet if you prefer) then the QC35 ticks those boxes! 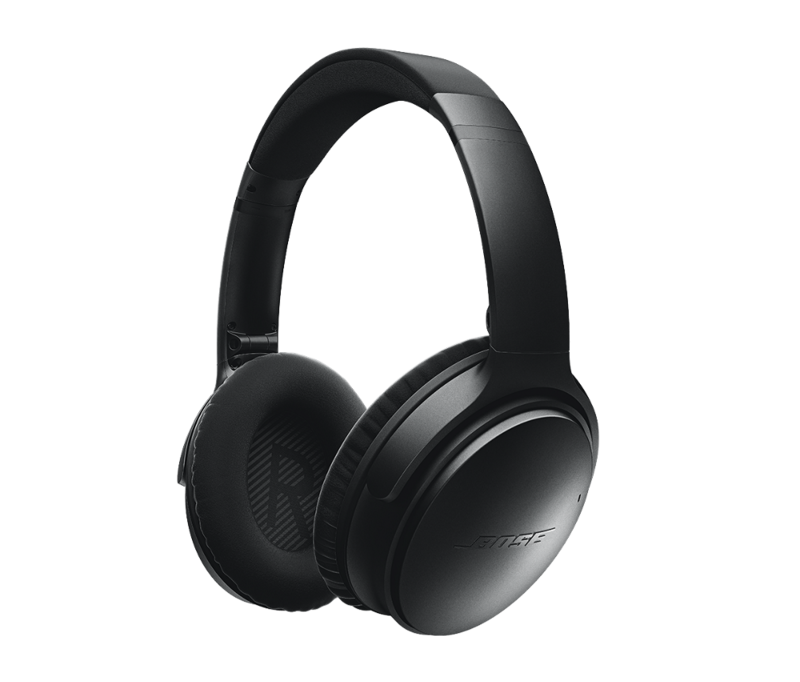 We love wireless headphones here at Tekzone and Bose have not disappointed us; all you need to do is connect the QC35’s to your Bluetooth device and you’re ready to go! No need to unknot any cables which means less stress and more play time. What more could you ask for? Ever taken a phone call outside to find you still can’t hear them from the other end with the wind and noise? We have all been there but not to worry because Bose have you covered! With the added multi-function buttons on the right earcup and the dual-mic system, you will never have an issue taking a call in a busy area again. No wonder Bose put “Comfort” in the name of these headphones. The QuietComfort 35's are lightweight and covered in a goregous faux-leather so they'll be hugging your ears very nicely without making them feel hot and bothered. Did I mention they even come with a carrying case? Now it's time for the fun part: entering our competition! To be in with a chance of winning, head over to our Twitter page and check our pinned tweet for all the details. Terms and conditions of our QC35 competition are available here.